Shakespeare's enduring tragic tale of two star-crossed lovers from rival families in fair Verona is given grand treatment in this sumptuous adaptation by Franco Zeffirelli who casts like aged teens Leonard Whiting and Olivia Hussey, who are surprisingly appealing and quite excellent, and matched by resplendent, Oscar winning cinematography by Pasqualino De Santis and a lovely Nino Rota score. Also, the courtyard scene is unforgettable. A once great playwright (Michael Caine) is nursing his latest Broadway flop when he receives a script in the mail from an admirer and aspiring writer (Christopher Reeve) who hopes his idol will have the time to glance it over. In a flash of diabolical inspiration, he invites his devotee over in a plot to knock him off and present his play as his own. Working with screenwriter Jay Presson Allen, Sidney Lumet's adaptation of Ira Levin's twisty, popular stage production opens up well (perhaps too well) on the screen with a delicious first act followed by a belabored second. Caine, Reeve, and Dyan Cannon are all on point. In recent years it has become almost standard that Oscar will play it safe and this year Neil Patrick Harris proved no exception as host with his toothless, stale humor and uninspired opening musical act (only given life by a huge assist from Jack Black (the ones you want to host the show never do)) aimed at a likewise colorless generation who somehow find this smarmy twerp to be one of the industry's grandest entertainers. Otherwise, the rest of the production offered very few laughs (I did appreciate NPH's Birdman spoof) and unfortunately consisted mostly of musical performances, with the crowd's reaction to John Legend and Common's Selma number being a nauseating low point of the evening, and the odd and overlong Lady Gaga Sound of Music rendering only redeemed by the appearance of Julie Andrews. As per the awards, there were few surprises, excepting a few major ones which unfortunately favored the overlauded and self-important Birdman. 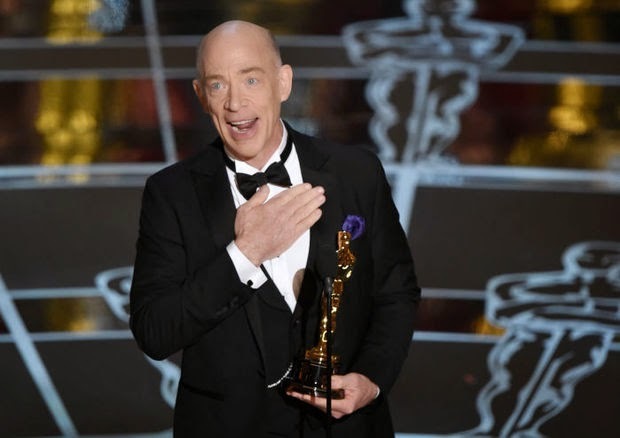 J.K. Simmons, in a deserving win for Best Supporting Actor, had the speech of the night: succinct, funny, and tender though not cloying. Patricia Arquette, another meritorious supporting winner, offered the worst speech who for some reason chose the occasion to use the Oscar podium as a platform for equal wages for women, as she dispassionately read her lecture from notecards. Julianne Moore won an overdue Oscar for an unworthy role and Eddie Redmayne, the least deserving contestant in his field, took home the trophy because he was the only nominee who played a physically handicapped person. I had issues with every Oscar Birdman, the big winner of the night, took home starting with the Cinematography trophy for back to back recipient Emmanuel Lubezki. The simulated continual tracking shot seems more like an editing feat (a category in which it wasn't even nominated) and the rest of the bland photography pales in comparison to like nominated films such as Mr. Turner, Ida, and The Grand Budapest Hotel. Lastly, the greatest disappointment of the evening had to be the favorite Boyhood losing steam as it reached the finish line. Though the Academy voted differently, down the line I believe Richard Linklater's 12 year labor of love will be looked back upon as the finest achievement of 2014. During a routine drug bust, NYPD narcotics officers Popeye Doyle (Gene Hackman) and Buddy Russo (Roy Scheider) learn that 32 million dollars worth of heroin has been smuggled over from France and begin the laborious, frustrating, and deadly search for the shipment and its source. Whether its a barroom bust-up, a sleepy stakeout, or the ultimate elevated train chase sequence, William Friedkin's gritty, exciting, and quintessential action picture elevates itself above the rest mainly due to the way it treats its audience like adults and not feeble minded idiots. 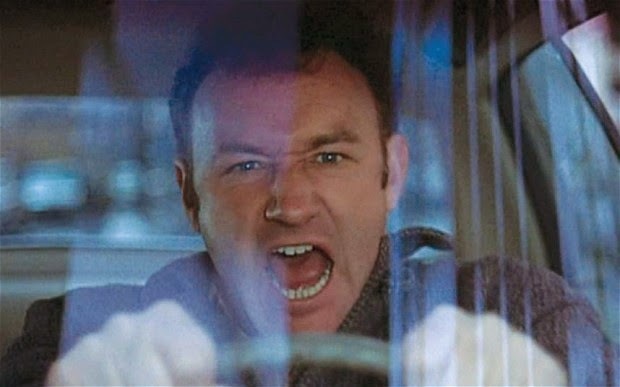 Hackman provides a tough, uncompromising, unlikable, and atypical leading man and Scheider is equally compelling as his partner. A disentranced gunfighter ambles into the Wyoming homestead of a floundering rancher and his wife in the hopes of starting a new life, and is immediately idolized by the couple's young child. Though eventually trusted by the family and desperately heeding to their advice to avoid the ever beckoning calls of his past life, fate draws him into a showdown with the ruthless cattle baron who has been preying upon his new keepers' land. 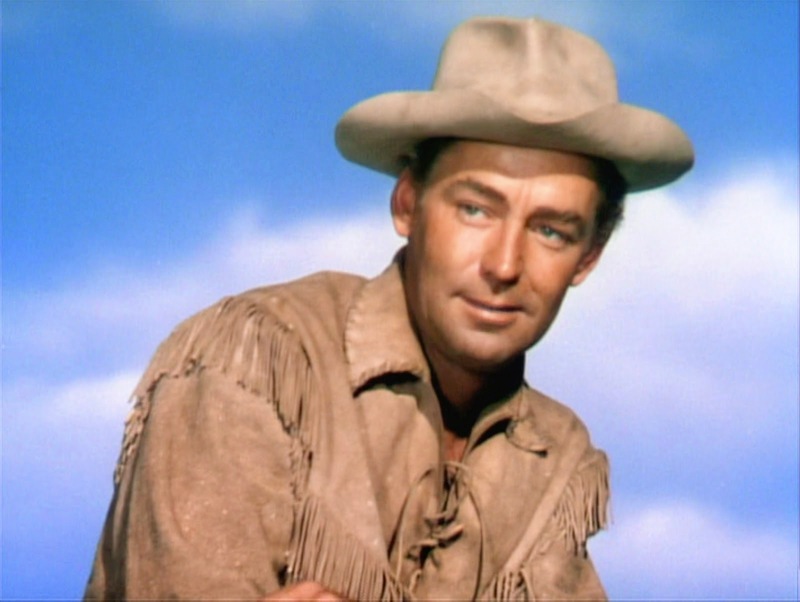 George Stevens' classic Western standard, from the book by Jack Schaefer, is a perfectly satisfying (and realized) example of hokey Americana. Loyal Griggs' awe inspiring cinematography dominates the proceedings and each and every player, including Alan Ladd as the weary gunslinger, Brandon de Wilde as his young devotee, Van Heflin playing the struggling rancher, Jean Arthur his wife, Ben Johnson as a despicable thug, and Jack Palance as the vile black hat, are cast and play their roles to a T.
After having his latest quest foiled by a rival and making a daring escape from Peru, archaeologist Henry "Indiana" Jones (Harrison Ford) returns to his teaching post where government officials apprise him that the Nazis are seeking out one of his former colleagues. From there, Jones embarks on a perilous, continent spanning expedition after realizing the vile dogs are in search of the Ark of the Covenant, which they believe will make their armies indestructible. Revisiting Raiders of the Lost Ark, I was surprised to find it a great deal cheesier than I remembered a kid when it always struck me as grown up (in a good way). Spielberg's classic action/adventure nod to Saturday Morning serials is brazenly mounted, occasionally over the top, but impeccably carried out, and still a whole lotta fun. The film is well cast and although Ford and Karen Allen leave little to be desired in the acting department, both hold tremendous appeal. In the early 1980s, two roommates (Chloe Sevigny and Kate Beckinsale) working as junior editors for a publishing firm nightly populate the swinging and decadent clubs during disco's final days. 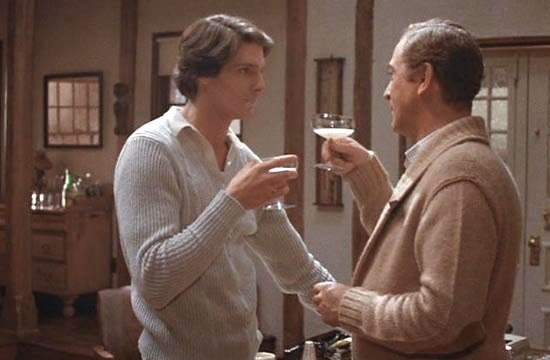 Like other films by White Stillman, even though his characters are upper class snobs with whom most viewers share little in common and are often off putting to boot, I regardlessly loved listening to the intelligent and unusual way they spoke and ultimately identified with certain aspects of their personalities. Sevigny and Stillman regular Chris Eigeman turn in fine performances, and the film's conclusion is memorable. When a colorful, successful, and well-liked Texas preacher (Robert Duvall) learns of his wife's extracurricular behavior, he makes an impassioned, violent choice and heads for a small Louisianan community where he starts his life and ministry anew. 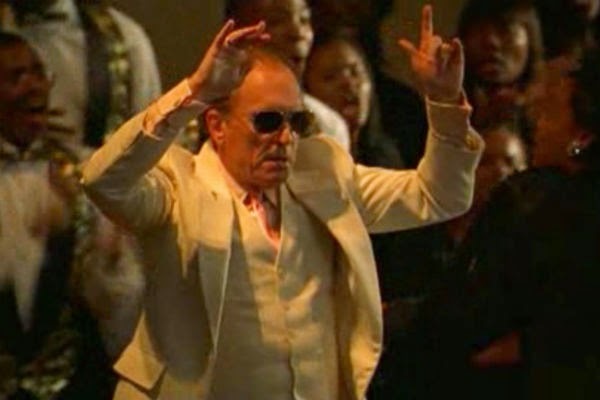 The Apostle was a years in the making passion project for Duvall, who contributes a showy, self-indulgent performance in a simple, well-meaning, but overlong film which is given weight by its Southern flavor, cast members, and landscapes. The aging concierge of a luxurious Berlin hotel takes utter pride in his position. Soon, he is phased out by management and must face the personal humiliation and disdain from those around him. In a time when movies tell you everything a character is thinking and explain their every action, with The Last Laugh F.W. Murnau was able to convey a heartbreaking story without the use of sound and, aside from an introductory and epilogue card, no intertitles whatsoever. 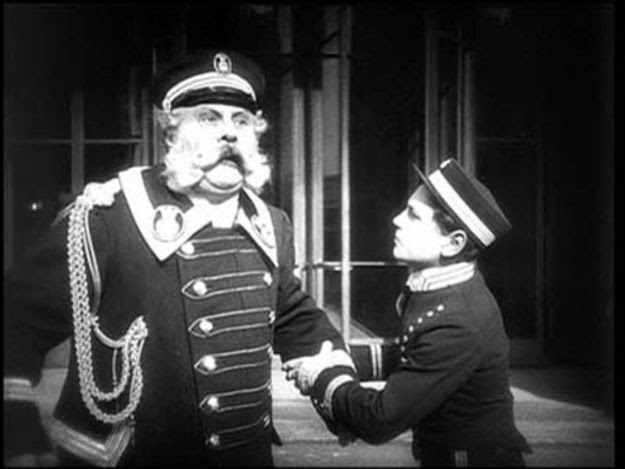 Emil Jannings' Doorman is an incredible creation and the film is filled with so many memorably framed sequences, including a knowingly anachronistic, not to say welcomed, jovial ending. 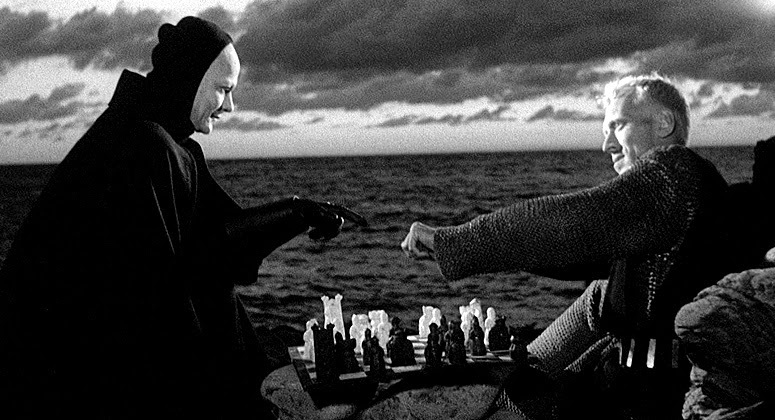 A world weary knight (Max von Sydow) making his way home from the Crusades happens upon Death and challenges him to a chess game with the hopes of preempting and preventing the inevitable. During the course of their game, the knight ruminates on the existence of God, his impending death, and the meaning of life. Ingmar Bergman's quintessential arthouse masterpiece is a brilliant and emotionally draining discourse on human nature, pristinely shot, and replete with stunning sequence after stunning sequence including a mercy killing preceding a burning at the stake, Death slowly creeping into the frame, a troubadour's fake demise followed by his actual one, and, of course, the haunting dance of death.